Sega announces the release of Puyo Puyo eSports Arcade for the middle of April 2019. The game will be available on ALL.Net P-ras MULTI Version 3 and playable up to 4 players. 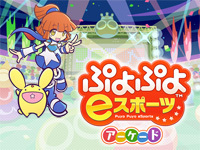 A home version is already available and features a local tournament mode, online competition and 24 playable characters. 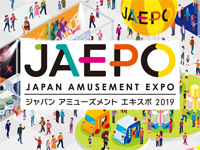 JAEPO show 2019 closed it doors at Makuhari Messe (Chiba) today after 3 days of activities. Major Japanese developers were gathered here to present their lastest products. As usual the first day was for the professionals and the two other were opened to the public. On Bandai Namco stand, visitors were able to try the upcoming JoJo's Bizarre Adventure Last Survivor, Sword Art Online Arcade: Deep Explorer, Poker Stadium, Tekken 7 Fated Retribution Round2 and Taiko no Tatsujin: Green Ver.. VR activities were also present with Godzilla VR, Rapid River VR and VS Park Nigekill. Sega was present with its new titles Chrono Regalia, WCCF FOOTISTA 2019, Star Horse 4, maimai Deluxe and Kemono Friends 3: Planet Tours. Konami has always a big booth with all its latest musical games, this year, the new games were DanceDanceRevolution A20 (in a golden cabinet) and Mahjong Fight Club GRAND MASTER. Taito came with a compact version of Densha de GO! !, Densha de GO!! Kids and Omatsuri Quest Hippare Q (a compilation of mini-games). Marvelous! presented WACCA, Capcom gave more info about Street Fighter V Type Arcade and Arc System Works announced an arcade version of Blazblue Cross Tag Battle. But it's the exA-Arcadia team that made the most announcements during the JAEPO: no less than 14 new games were unveild! Those are Axel City 2, Blazing Chrome, Dimension Drive EX, The Fallen Angels, Fight of Gods, Gimmick! exAct Mix, Lightning Knights, Psyvariar Delta, Rival Megagun XE, Vritra Hexa, Bayani - Kanino Ka Kakampi? !, My Slam & Jam, Devil Engine and Alien Field 3671. The tenth edition of EAG International takes place next week! Alongside ENADA, it's one of the biggest amusement trade shows in Europe. As every year, the major manufacturers are unveiling their new products. This year, Sega will bring the much anticipated House of the Dead Scarlet Dawn, the fifth episode of the famous zombie shooting game series. The other new games will be ATV Slam, an ATV racing game with motion and Transformers Shadows Rising theater shooter. Also note the return of Daytona Championship USA in a more compact version. You will also find on their stand the Virtual Rabbids: The Big Ride VR simulator and the last redemption machines made by ICE as well as Super Kixx Pro, a football variation of Super Chexx. Sega will also present in European premiere Ball Runner, Hot Racers and Sonic Kids Basketball. At Bandai Namco Games, no new Namco video game will be presented, but a new version of the Jumpin' Jackpot redemtion named Jumbo Jumpin', a 2-player version of the DC Comics pusher and the new Batman Vs Joker Laughing Madness air hockey table. Video game fans are not forgotten because the latest Raw Thrills offering will be showcased including a 2-player version of Halo: Fireteam Raven and Super Bikes 3. Compact versions of the Tomb Raider and Rabbids Hollywood 4-player redemption shooters will be also presented. Triotech will exhibit the 10th anniversary edition of the Typhoon simulator equipped with a 4k screen and 10 new ride films. Adrenaline will present his Blox Breaker videmption and Andamiro will be represented by the WWE - Superstar Rumble trading card Game. Bandai Namco Games will be exhibiting the new 3mx3m AiSolve VR Arena with the Star Defense multiplayer game. The Halo, Minecraft and Shazam plush toys will soon fill the cranes in arcades throughout Europe. Instance Automatics will have Fantasy Soccer for 2-on-2 football games (or 4-on-4 with two linked machines) on display as well as Lanemaster Pro, ToyshSpop Double and Lucky Dip cranes, a 2-player version of Coconut Shy and a kiddie Minions ride. Sports Simulator will present Disc Golf, its 20th game for the Surround Sports environmental simulator. There will also be the latest Stern pinball machines at Electrocoin. It's impossible to detail here the full offering of the 150 exhibitors, the best is obviously to visit the show to discover everything for yourself. In addition to the new machines, EAG offers many other sources of information such as seminars (including the Foundations Entertainment University on Thursday hosted by Frank Seninsky and Kevin Williams) and the networking evening event at Fox@ExCel on Wednesday at 6pm. 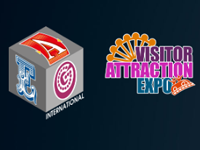 EAG International 2019 (and Visitor Attractions Expo) will take place at ExCeL in London from January 15th to 17th. This trade show is reserved to professionals. You can register for free on this website. Don't miss this event! If you are a Netflix subscriber and if you like arcade games, don't miss High Score Girl! From today, Netflix streams this anime series previously aired from July to September in Japan. You can watch it in original version or with an English dub. 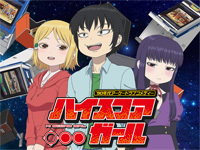 Adapted from the eponymous manga (started in 2010 and finished in 2018), High Score Girl is a 12 episodes anime series taking place in the 90's and relating the story of an arcade gamer. Wikipedia summary: Sixth-grader Haruo spends practically his entire day at an arcade in the seedy part of town, oblivious to the world around him. However, one day at his usual arcade, he encounters Akira, his female classmate with good grades and money. She may look out of place at the arcade, but she is actually a top-class gamer. Akira completely outmatches Haruo in one Street Fighter II round after another, and their relationship develops from this unlikely encounter. Haruo is voiced by K?hei Amasaki (Mobile Suit Gundam: Iron-Blooded Orphans) and Akira by Sayumi Suzushiro (The Magnificent KOTOBUKI). High Score Girl manga is written and illustrated by Rensuke Oshikiri, the anime series is animated by J.C.Staff, directed by Yoshiki Yamakawa and written by Tatsuhiko Urahata, featuring character designs by Michiru Kuwabata. The music is composed by Yoko Shimomura. You can watch the trailer here and check the list of the games appearing in the show here. 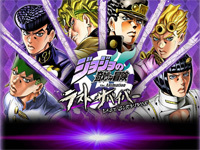 Yesterday, Bandai Namco announced the development of a new game based on the famous series JoJo's Bizarre Adventure. This will be a network battle royal game where up to 20 people can participate at the same time. Characters from Part 3 to Part 5 of the series will appear. JoJo's Bizarre Adventure is a popular manga that depicts a tense tactile battle depiction and unshakable human drama, and has attracted many readers for many years. There are many variations of the franchise: TV anime, novelization, games,... JoJo's Bizarre Adventure Last Survivor is scheduled for operation in Summer 2019 and a location test should be held in January. You can watch the trailer here. 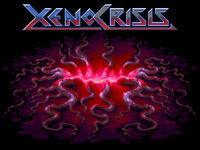 Xeno Crisis is a new game made by small English studio Bitmap Bureau with graphics by Henk Nieborg and Catherine Menabde. In this game inspired by Mars TV and Alien Breed (among others), marines are making their way through colonial complexes infested with aliens. Players can shoot in 8 directions and use an escape technique or grenade to get out of difficult situations. The goal is to reach the boss room at the end of each level, the maps and room layouts being randomly generated at the start of each new game. The game is composed of 6 huge levels with various environments. Killing all aliens are not the only thing to do, there are also survivors to be saved. Dog-tags are dropped after a number of enemies killed. These tags can be exchanged for bonuses such as medi-kits, speed-up bonus or weapon upgrades. 9 different weapons are available but ammo are limited so you'll have to use them wisely while killing the 40 types of enemies encountered. 3 game modes (arcade, infinite and boss rush) and 2 levels of difficulty are planned. If a player dies in a 2-player game, he will have to wait for his colleague to reach the next room to be able to reappear. The game was originally developed for the Sega Mega Drive. It will eventually be released on several platforms: Dreamcast, PC, Switch, PS4, Neo-Geo AES and MVS! The MVS version is available in 2 editions: the standard edition priced at £199 includes the cartridge in a cardboard box and a dipswitch sheet. For £269, the collector edition available on preorder until the end of January adds a mini-marquee, move list strips, an art set, 2 A3-sized posters, the OST CD, dog-tags and your name assigned to an hostage in the game. The Neo-Geo version will be released during the second quarter of 2019, you may preorder the game at Bitmap Bureau's online shop. Please note that the game soundtrack by Savaged Regime is available on both vinyl and CD. Konami's latest Mahjong Fight Club game is available today. 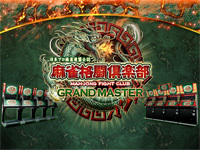 Mahjong Fight Club GRAND MASTER is an online match-up type mah-jong game officially recognized by the Japan Professional Mahjong Federation. This new version brings some changes to the league system: several rivals are now groupe together to compete for a weekly game score. You can watch Mahjong Fight Club GRAND MASTER trailer here. 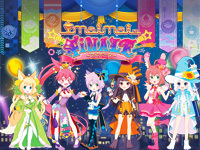 Sega releases a new version of maimai today: maimai Finale. This update adds new songs and collaborations (Nora, Princess, and Stray Cat). Furthermore, Sega announced maimai Deluxe that will be a brand new version of the game maybe with a new cabinet... More info about the game will soon be available. Love Live! 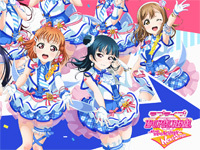 School Idol Festival ~ after school ACTIVITY ~ Next Stage is out in Japan today. They are two new buttons added : "decision button" and "cancel button". A new music notation "PLUS" aslo appear. And, of course, many new songs are available (We know the future, Energetic fully open DAY! DAY! DAY!, Tricholico PLEASE ! !, Strawberry Trapper, ...). 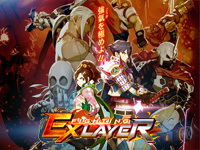 Available since June on PS4, FIGHTING EX LAYER starts operation on NESiCAxLive2 today. Arika's fighting game is played in a 2.5D environment and uses the Unreal Engine. The battles take place in closed arenas. The gameplay retains many of the mechanics from the first FIGHTING EX out in 1998 and Street Fighter EX series , such as Super Cancels and running. Arika added an original new feature to the game: power-up deck. Players can build a deck fitting their style of play. They pick various power factors such as rampage, cancel, erase, grap,... to create their "Strong Deck" and active it during the match. This feature adds a strategic vision of being able to choose a strong deck according to the opponent.